Bossy Italian Wife : These Fruit Flies Are Driving Me NUTS! I don't know what goes on in the rest of world, but I can tell you that here in Sussex County, the amount of fruit flies have been insane. They attack everything. The swarm. They annoy. I want to kill them all. If you are like me, you have probably tried countless amounts of things to get rid of these little flying pests, and a lot of them don't work. If you ask me, when a solution doesn't work, it only adds insult to injury. But lucky for all of you, I have an actual solution that works brilliantly! 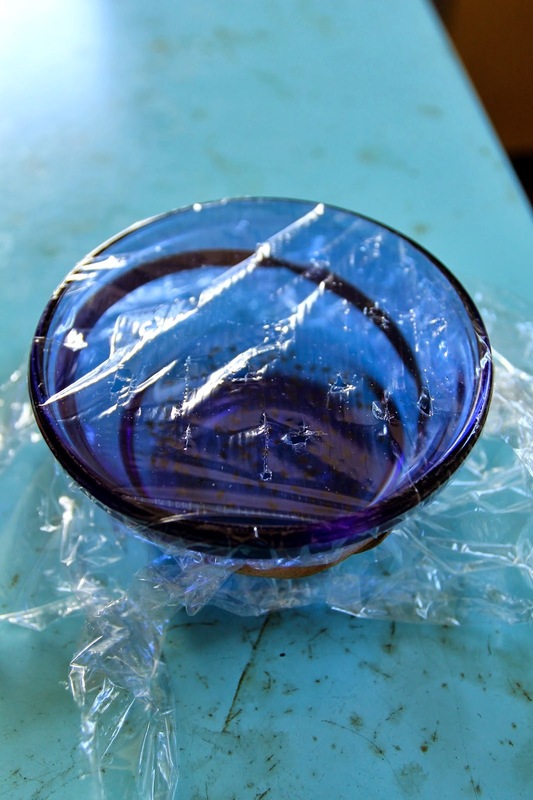 All you need is a small bowl, a little vinegar, a rubber band and some plastic wrap. Put the vinegar in the bowl (I used rice vinegar, but whatever works!) and then put the plastic wrap over the bowl. Keep it in place with the rubber band. Now poke holes in the plastic wrap and VIOLA! A fruit fly trap fit for a king! The flied get in but they can't get out! I did this with dish soap in the vinegar...didn't work. Trying your way...will let you know lol...hate those buggers! I hope it works out! Please keep me posted!! !